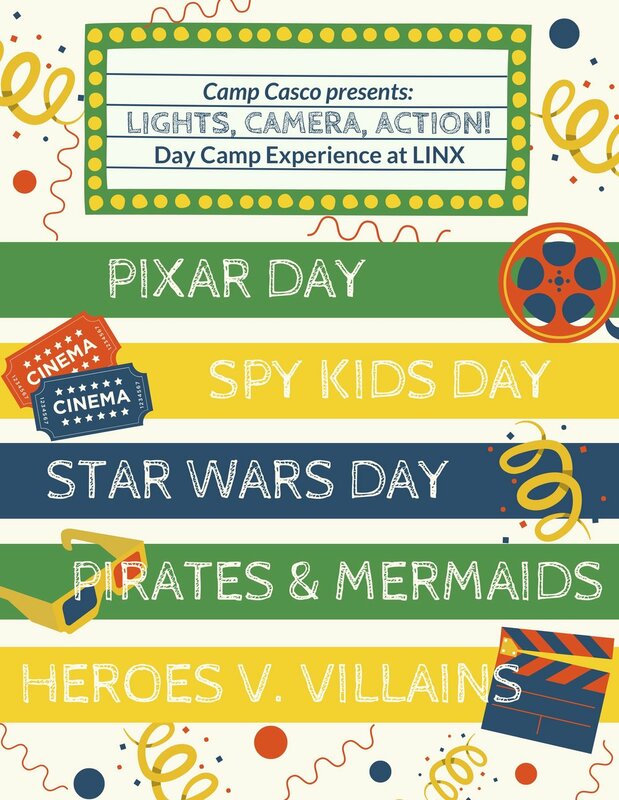 Theme days are a wonderful way to show off your camp spirit! This year, our camp theme is Lights, Camera, Action. You may see some of your camp counselors or cabin-mates dressed up in crazy outfits for different theme days, and you can bet that our daily activities will go with each day’s theme. Do you have a shirt or hat or pair of sunglasses that go perfectly with the theme? Great! Bring it to camp and show off your camp spirit. No need to go out and buy anything special - anything you already have is perfect for camp. Don’t have anything quite right for the theme? No problem! We’ll have plenty of decorations and crafts around to help you show off your camp spirit all week long!